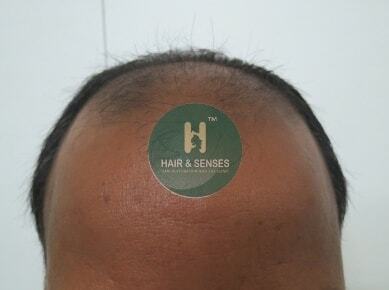 Read here the case study of a patient undergone FUE Hair Transplant with 3500 Grafts at Hair & Senses. Case History: A 45 Year aged male having hair loss on the both frontal and crown area visited our clinic. He had tried all the medications that help in promoting hair growth to certain extent but none of them helped him much. 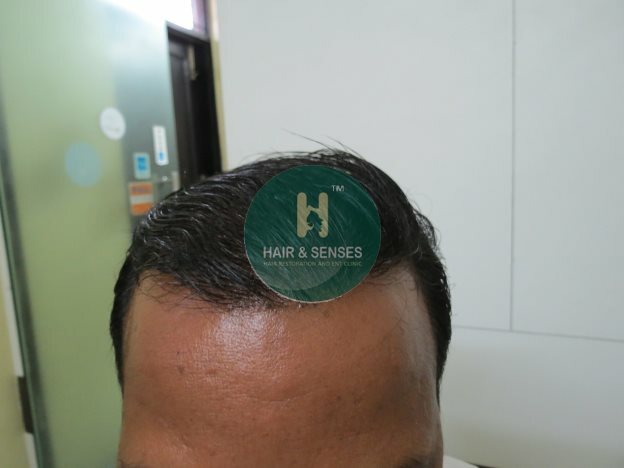 At Hair & Senses, proper consultation and examination was done and after routine checkup and blood test patient was suggested for the hair transplant. Keeping in mind the number of grafts it required to cover the bald area, we suggested FUE technique for the hair transplant. The procedure was done under local anaesthesia.